ERP software is known for providing valuable services to a variety of users. Finance relies on ERP to obtain reports and maintain compliance with regulations. Marketing and sales staff serve customers, pull reports and measure their performance based on ERP generated reports. Supply chain professionals, shipping and customer service units use ERP to serve customer needs. With hundreds or thousands of active users, even small improvements in ERP productivity and user experience add up over time. Unfortunately, ERP applications have lagged behind consumer apps in user experience. Without the need to market aggressively for users, the early approach to ERP simply assumed that a system could be built, deployed and used without much attention to the user experience. That approach is no longer good enough. Incomplete or ineffective user adoption means companies are failing to realize the full value of ERP. To address that trend, ERP experts and vendors are bringing a variety of improvements to the market. “A lot of ERP vendors have made major progress on the user interface front over the past two years,” says Pavel Krumkachev, principal at Deloitte Consulting. Krumkachev’s ERP experience primarily focuses on Oracle products. “Cloud ERP products are leading the way in providing a better user experience,” he says. “In terms of implementation and customization, I am seeing demands to accommodate the iPhone, Android devices and wearable technology,” he says. 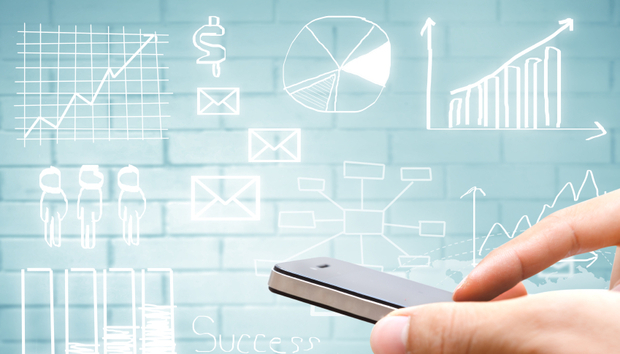 The next trend in mobile ERP is to provide powerful mobile interfaces. “Early efforts to bring ERP to mobile devices focused on displaying data. The next generation ERP allows users to complete actions using a mobile device. For example, I am now able to file business travel expense receipts while I wait for a flight,” Krumkachev says. “There is a strong business case for improving the ERP user interface. Increased productivity and better user engagement are the main benefits. For example, organizing and fulling service requests used to take days to be completed. The latest improvements reduce the processing time to minutes or seconds. For service and support departments, that productivity improvement provides excellent benefits. Fortunately, adding these capabilities does not require multi-year IT projects. “A lot of IT organizations have legacy applications and are not interested in changing them right now. Fortunately, there are user interface products that can be installed that provide a better experience without having to changing the entire infrastructure,” Krumkachev says. Improving the ERP user interface may be as simple as installing dashboard software for management users. “To deliver a better user experience, it is essential to begin by asking what users want rather than focusing on technology first,” Krumkachev adds. Sage Software produces a range of software products for the enterprise including several ERP offerings. “To improve our ERP products, we interviewed around 50 of our customers to understand their workflows for activities such as producing an invoice and handling orders,” says Jeff Clark, vice president of product design and experience at Sage. Those interviews, among other inputs, have spurred Sage to significantly improve the ERP user experience. “Reducing the complexity of work tasks is a key way to improve the experience for enterprise application users,” Clark says. Building new capabilities and integrations with other products is a key priority for Sage. “In 2015, we announced a partnership with Salesforce. With that partnership, we are going to add Salesforce capabilities directly into our products,” Clark says. Putting customer relationship management functions into an ERP means improved efficiency and less need to switch between applications to complete work tasks. Sage is also looking into adding payment processing features to future editions of its products. When it comes to improving usability, there is no need to reinvent the wheel – consumer apps and software suggest interesting possibilities for the enterprise. “We can take inspiration from Uber and other consumer apps. They make the user experience simple and intuitive: training programs are not required. After all, hard to use consumer apps rarely last for very long,” says Deloitte’s Krumkachev. The case for better enterprise application user interface goes beyond productivity. If the experience frustrates users, they are likely to conduct business outside the application. These alternate practices – such as using email or phone calls to complete work – pose challenges for reporting, governance and consistent service delivery. There are many options available to improve an ERP interface, so it is difficult to know where to start. Mapping out the current practice and steps staff use to accomplish work is an excellent starting point. “I suggest using the cognitive walkthrough technique to improve enterprise software usability,” says Craig Rosenberg, a PhD in human factors and user interface design who has worked with a variety of clients in the Fortune 500.